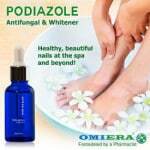 Most toenail fungus treatment solutions are topical agents. You can find a lot of creams, gels, tinctures, and ointments with antifungal ingredients. If you’ve tried any of these treatments in the past and they haven’t worked well for you, it might be time to try something new and innovative. It doesn’t get much more unique than the Laser Device by Cure-Ex. Unlike many of its antifungal competitors, this device doesn’t contain any messy creams or gels. It is a battery-powered unit that goes directly over the affected toenails. It uses gentle laser therapy to get rid of unsightly fungus in just minutes a day. One of the worst parts about toenail fungus is the symptoms that go along with it. This device is designed to not only clear up an infection but unsightly symptoms, too. There is no mess to worry about, and it could be an excellent solution for busy people who are looking for a quick treatment they can use each day. But, can a simple device such as this work as well as a topical antifungal agent? Note: If the Cure-Ex is out of stock on Amazon and you’re looking for a viable alternative, we recommend the Nail Cleaning Laser Device. 1.2 Is It Safe to Use? 1.3 How Do I Use It? 1.4 What Results Should I Expect? 3 Does the Cure-Ex Laser Device Really Work? Because toenail fungus is a common problem, it’s no surprise that new technologies are being developed to get rid of it. The Cure-Ex Laser Device is on the cutting edge of that technology. 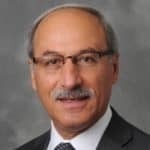 This review will focus on how it works, and why it is effective. We’ll answer a few questions that are likely associated with the product itself. Because it’s so unique, it’s important to know as much about what this solution does as possible. We’ll cover the method of its technology, and even let you know some of its weaknesses. If you’re ready to try something new to get rid of a fungal infection, we hope this article helps you in making a clearer decision about this particular product. 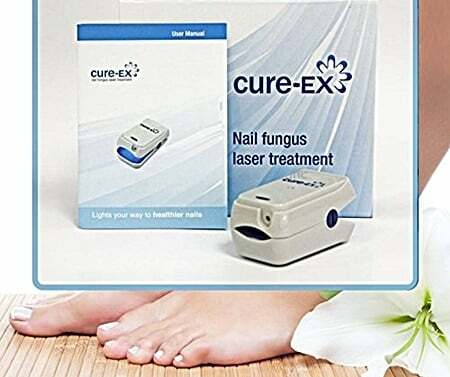 CLICK HERE to Check the Price of the Cure-Ex Nail Fungus Treatment Device on Amazon! Since there are no ‘ingredients’ or antifungal medications to this solution, how does it work? This laser device penetrates through the nail, using specialized laser light to target and kill fungus at its very core. People who have severe toenail fungus often see a podiatrist for help. Sometimes, a podiatrist will suggest laser treatment. This allows for them to get through layers of thick nail and skin to kill the fungus. Unfortunately, laser treatment can be extremely expensive. The Cure-Ex system uses the same idea. However, it only takes a few minutes a day and is entirely painless. Plus, it can be done from the comfort of your own home. The designated laser light is powerful enough to kill fungus but gentle enough so that it won’t harm your skin or any surrounding area. Again, getting laser treatments from the doctor isn’t painful. There is also no pain involved when using this device. In fact, there is very little risk involved at all. With some toenail fungus treatments, you have to worry about specific ingredients triggering adverse side effects. Because there are no ‘ingredients’ here, the risk of experiencing a negative reaction is low. Using a laser light might seem dangerous, but the device is powered by a battery. There is no possible risk of electrical shock while using it. The Cure-Ex device works in just seven minutes a day. You don’t have to worry about reapplying anything morning and night, like many other treatments. Follow the simple steps below to get the best results quickly. Make sure your infected nail(s) and surrounding area are clean and dry before using the device. Place the charged Cure-Ex over the affected nail. Push the button to turn on the device. It’s a one-touch process. The indicator on the device will show that it is in use throughout the treatment. The indicator light will automatically turn off at the end of each treatment. The process will last about seven minutes. Once the indicator light goes off, you can remove the device and start to charge it again. Or, you can use it on other infected toes. Since there is no cutting or slicing involved, you don’t have to worry about ‘debris’ or cleaning the device up afterward. You also can’t mess up the process. You push a button to get started, and the device does all the work from there, even shutting itself off when complete. It helps to take the guesswork out of treating fungus, and it couldn’t be easier to use. By using this device every day for the recommended amount of time, the company suggests that you can see results in just four short weeks. You may even be able to find relief from your symptoms earlier than that. Because it is a safe product, you can even use it multiple times a day for faster results. Some people use it up to three times each day. It all depends on the severity of your infection. You can expect to see results in half the time you would use most other toenail fungus treatments. Plus, this product is so convenient, you can take it with you anywhere. It won’t make a mess wherever you go. So, if you’re traveling or need to use it somewhere other than your home, you can do so discreetly. It also is effortless to charge. Just plug it in when you’re not using it, and it’ll always be ready to go. It’s important to use the device every day, even if it’s just once a day. You’ll get the best results that way, and the fungus won’t have a chance to continue growing or spreading. There are many positives to consider when it comes to this product. But, it’s normal to be hesitant about something so unique and innovative. Let’s take a closer look at some of the pros and cons of the Cure-Ex device, so you can have more peace of mind before considering it for yourself. While this device does cost more than many topical antifungal agents, the value is in its lasting power and effectiveness. Eventually, a topical solution will run out. In many cases, you need to buy more than one bottle/tube of a treatment to cure a fungal infection. With Cure-Ex, you can use it as many times as needed until the fungus is completely gone. It may be more of an initial investment than other treatments, but it’s one that will last. Does the Cure-Ex Laser Device Really Work? If you find that you’re prone to toenail fungus, a treatment option that works consistently is essential. If you get severe infections, it can be easy to rack up expensive bills by going to the podiatrist for help. The Cure-Ex Laser gives you the power of the podiatrist in your own home with safe laser treatments. With consistent use, this device can provide relief from unsightly and uncomfortable symptoms. It will work to kill toenail fungus quickly and cleanly in just a few minutes each day. You can take it with you wherever you go, so you can make sure to use it at the first sign of an infection. Even if you don’t experience fungal infections often, this device is worth it. It takes the mess and confusion out of treating a fungal infection properly because it’s so easy to use every day. Even if it clears up one bout of fungus, it pays for itself in the process when compared to products that can take twice as long to work. We hope this review has given you the information you need to have peace of mind about this unique and advanced treatment option. If nothing has worked and you’re ready to try something new, it’s worth it to give Cure-Ex a chance. 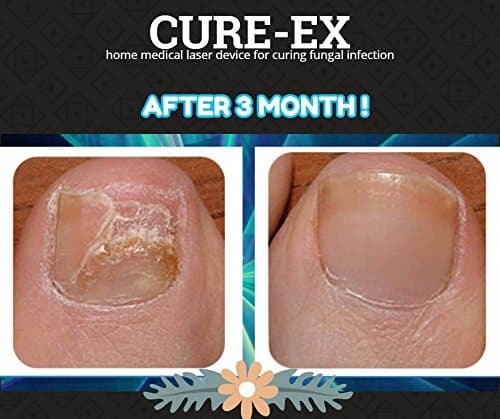 CLICK HERE to Buy the Cure-Ex Nail Fungus Treatment Device on Amazon! Is Toenail Fungus Laser Treatment Painful? What’s the Cost of Laser Treatment for Toenail Fungus by a Doctor?